The modern scientific education is associated to rigor ; it extols the power of reason over feelings. Rising above other mere mortals, the scientist has a grand vision of what he should accomplish, and sets himself to work, wielding an impressive array of mathematical tools. In contrast, the poet seems to err without a definite goal, writing words after words in some everlasting quest for beauty. I’m no poet. I’m more of a scientist by training. 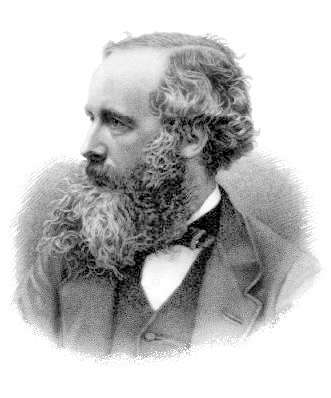 As such, I have a great admiration for James Clerk Maxwell. To defeat the stereotypes, he was an outstanding physicists who wrote poetry. His poems are little known gems. I recently found this one, entitled “Molecular Evolution”. Now, that’s a piece of philosophy of science. It got me thinking. This poem deals with the exploration/exploitation tradeoff and the necessity of having a fair share of exploration in science. Which means that you may have to walk on paths forbidden by reason. Of course, reason shouldn’t be entirely forgotten: for nonsense to crystallize into some nobler form, one needs to discern the emerging patterns in the outburst of ideas. Indeed, what Maxwell say is to try random combinations of ideas. Take the risk to be ridiculed. Get creative. …that governments and foundations should reverse the general trend and intervene to encourage risky science beyond what would occur without their intervention. The authors modeled the scientists as bandits: a scientist can chose to work on the project that looks the most promising or to experiment with new, radical alternatives. It turns out that if all scientists have the same incentive to choose the safe path, it is detrimental to the progress of science, which involves following crazy ideas. A big question in Philosophy of Science is the demarcation between what is science and what is not. What are bandits, and how the demarcation question can be reinterpreted within a bandits framework is an interesting topic. I’ll try to write more about it in a sequel to this post. Meanwhile, I just want you to remember that randomness is good, because it allows exploration. The history of science is filled with stories of the crazy idea that turned out to be right. Let’s follow Maxwell the poet, and fill History of Science with more nonsense. 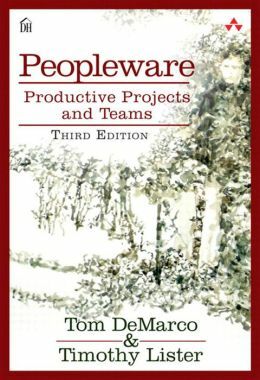 The book Peopleware by Tom DeMarco and Timothy Lister is a popular book on software project management. The first edition was from 1987 but the book has been revised in 2013. Peopleware addresses the issue of software developers management. This article is a short-list of what I take away from the book. The book is really easy to read and full of interesting insights, I recommend it to anyone working in software projects — even if you’re not into management. You will have better productivity by actually showing respect for and trust in your people. The authors explain the first point to support the second, and then expand on the multiple facets of what makes software developers work better. Software development is a work of the mind. It requires abstract thinking and creativity. On the opposite, making a Cheeseburger requires no novelty, and production can be standardized. When you replace a developer, you find a person with a different experience each time. Turnover is more costly than you think. On the contrary, a Cheeseburger maker is quite interchangeable. When developing software, quality matters a lot, because software is evolving and must be maintained. You can’t trade-off quality for productivity. People under time pressure don’t work better — they just work faster. In order to work faster, they may have to sacrifice the quality of the product and of their own work experience. If you want to know all about it, go read the book. Here I will keep 5 points that I found particularly interesting, considering my short experience of software development. Allow, even encourage errors: they will feel more free to try new things and will learn in the process. People’s self-esteem is tied to the quality of the work they produce: strive for quality. Create an atmosphere of safety, remove competition inside a team. Avoid unnecessary dress codes, Methodologies, and bureaucracy, which make people feel that their appearance, or a Method (with a big M), or the politically-correct, is more important than their actual work. Proper procedure is more valuable than high performance. Sometimes a developer has to stop coding and think. That’s OK.
Avoid impossible deadlines: your developers also want the work done, they’ll do it even without a deadline. Be aware that working more is not being more productive. Respect your people’s work/personal life balance. Your people are very aware of the one short life that each person is allotted. And they know too well that there has got to be something more important than the silly job they’re working on. The main idea is that building software involves building abstract ideas. The developer is then in a fragile state of flow. Give them a nice, quiet place to think. Don’t let them be interrupted in their work at any time (including with your own visits). Be mindful of the effect of meetings, telephone, emails, etc. The authors actually devote a full part of the book to the workspace. This is reinforced by Joel Spolsky, for instance in 2000 with Where do These People Get Their (Unoriginal) Ideas? and in 2006 with A Field Guide to Developers. Trust people: let them be autonomous after you’ve entrusted them with your job. Use deadlines so they see the work progresses in the right direction. Grow teams: when people inside the team feel safe, with no competition, they’ll naturally coach each other and share knowledge. Make them see the work progressing with small part goals. Use tests for private self-assessment. Avoid creating competition through bonuses tied to performance. The authors tell some stories and give supporting data to make their point. I think they might go a bit too far at times, for instance when they insist on making the workplace a community: some people may like it, but some may not. In any case, I believe I would work better in the environment they detail along the pages. If you’re still not convinced whether you should read the book, there’s a more classic review here, and thousands of reviews on goodreads. Please share your comments or relevant articles on Reddit. I’d like to write a follow-up article with some practical examples, eg a company/project failure or success due to a specific sociological factor. The last Paris Machine Learning meetup #12, hosted at Google Paris, was actually held Europe wide, together with London, Berlin and Zurich ML meetups. Andrew Ng was the guest star, available from San Francisco through Hangout. You can watch the video of the entire meetup, which is available on YouTube, but make yourself comfortable because it’s almost 3h30 long. Here I will only write about Andrew Ng’s talk and the first set of questions he was asked, that is only a bit more than half-an-hour. Andrew Ng talked about deep learning, a subject on which he’s been involved a lot with his teams, and which he describes as “our best shot at progress towards real AI”. The idea behind deep learning is driven by the “one learning algorithm” hypothesis, i.e. the idea that there must be somehow an algorithm that could learn to process almost any type of data. 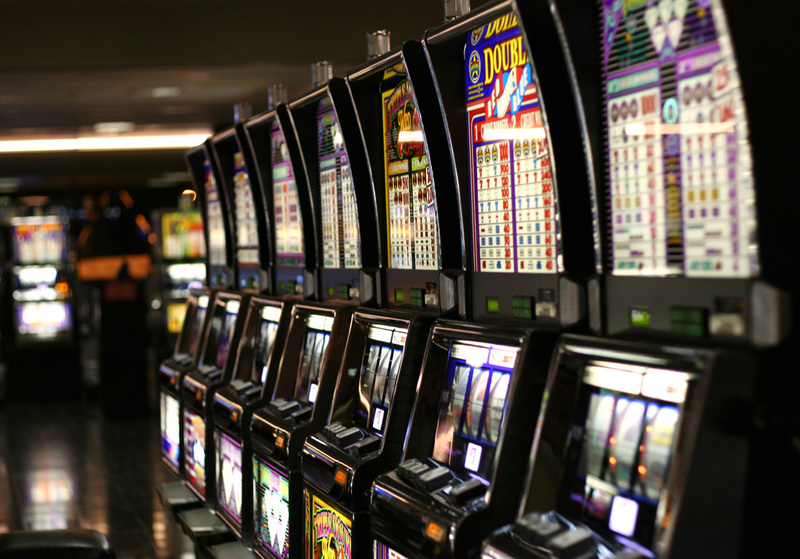 Our brain is capable of very impressive rewiring to reuse areas of the cortex for different kinds of learning, when a sensor is disconnected. There must be something in common in the way our brain learns to process the different channels. A way to implement that is with representation learning, that is try to learn the features. Andrew Ng described how sparse coding is a useful way to learn features, not only for images, but also applicable to audio. 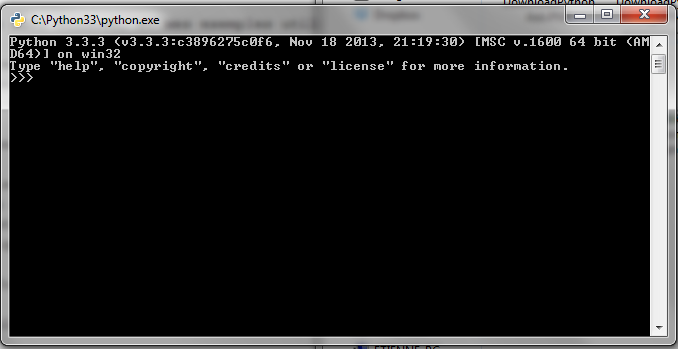 And you can repeat this to build feature hierarchies. After observing that this kind of system worked ever better when increasing the number of features, the idea was to scale up, really. He started working on neural networks with millions of parameters, with the Google Brain project. They made it scale up to 1 billion parameters, and famously made the neural network watch YouTube for a week. It learnt the concepts of faces & cats. They were able to ship new products with the same technology. The next question was: how to make it more easily available, i.e. without needing the huge Google infrastucture ? In a word: use GPUs. For future work, Andrew Ng explained that deep learning has been used in practical application mostly with supervised learning — to exploit the large amount of available labeled data accompanying the digitization of our society. It is an interesting feature of deep learning algorithms that it keeps getting better and better with more data. He pointed to the fact that there’s been an underinvestment on unsupervised learning. The obvious reason is that it is hard. However, this is probably nearer to how we learn. He gave the example of how we teach a child to recognize a car: you won’t point to him tens of thousands of cars, however loving a parent you are! A few labeled examples are enough. Most of the learning is unsupervised. About his own future work, Andrew Ng explained that, after Coursera, he wants to spend more time working on machine learning, GPUs and AI, which is what he’ll be doing at Baidu. Andrew Ng then proceeded to answer the questions asked on Google moderator. 1. “Could you give your top 3 most promising topics in machine learning ?” The first answer was, “unsupervised learning”. Then, about supervised learning, he mentioned the importance of giving tools and making infrastructures easily available to teams, and then listed “speech recognition” and “language embedding”. 2. “Your introductory course to ML at coursera was really great. Will you teach an advanced ML course at coursera with latest techniques around Convolutional Neural Networks, Deep Learning etc. ?” He’s not sure how he’ll find the time to do it, but he thinks about it and wishes to do so. 3. “How do you see the job of a Data Scientist in the future?” The increase in digital activities that create data and the rapid drop in computational cost are at the origin of the “big data” trend. As long as these two phenomena continue, the demand for data scientists will grow, and don’t worry, deep learning won’t replace them any time soon. This is an exciting discipline. Data science creates value. 4. “What are common use-cases where re-sampling (e.g. bootstrapping) is not sufficient for estimating distributions and considering the whole (Big)Data set is a real advantage?” Large neural networks need lots of data. When you have a lot of parameters, with a lot of flexibility in the model, booststrapping doesn’t help. With high VC-dimension, it is simply better to increase the size of the data set. 5. “What will be the next “killer application” of Deep Learning after visual object recognition and speech recognition?” Thinks that’s speech recognition. Vision & language are still to come. 6. “How do you see the gap between the research and practical implementation of ML algorithms?” You should minimize this gap. Have researcher for the innovative ideas, but avoid steps between researchers and production implementation. The same person does the research & works with the product team. 7. “What is it that you find most difficult in machine learning?” Innovation. Innovation requires teamwork. This entails employee development and teaching, to empower people to innovate “like crazy”. I’m partial to question n°7 since I’m the one who asked it. I really like his answer, now it’s no wonder why he founded Coursera. Deep learning is not a new fad. The theory behind it is decades old, it’s the result of years of research, and it’s booming due to hardware improvements. It’s not pure chance that it works so well. And there’s still research to do to make it even better. More data & more computational power make for better performance. OK. No intelligence required? It seems it’s not that obvious. Keep in mind that innovation is at the core of a researcher’s work. And that is the most difficult. Choose/educate your team well. Share knowledge. Yann LeCun had a different approach to introducing deep learning for his talk at ESIEE a few days before Andrew Ng. Maybe I’ll write about it later. Please share your thoughts about this post and the talk on Reddit. How do you bias a survey to get just the result you want? 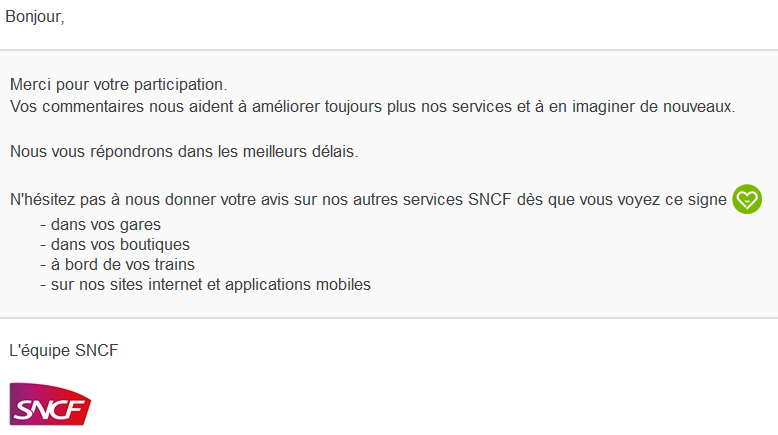 Here’s how SNCF does it. 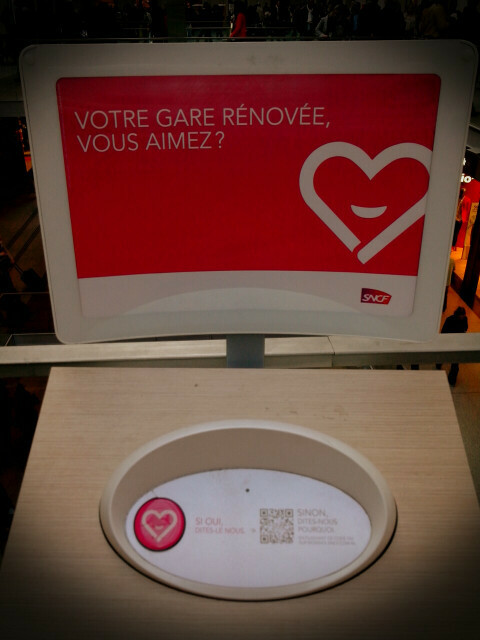 They put some kind of device in the new renovated Saint-Lazare station. The display invites passers-by to tell how much they love the new station (of course, it is beautiful, it’s brand new, full of natural light, and though we suffered a lot with years of works, it was worth the pain). You have two choices : either click on a pink button with a big heart shape (saying, I love it), or take a picture of a QR code “to explain why you don’t love it”. The surest way to get more than 90% approval. But it gets better. After clicking a few times on the button (ok, maybe they handle that kind of childish behavior), I scanned the QR code. There, after waiting for long seconds, I was retargeted to a page saying “3221 people love the new station, and you?” with… a button to say “I love it”, and a smaller one to go to a new page to enter a message. All in a positive tone (help us improve!) So cute. I left a message saying something about statistics and fiability. For now, I have just received the standard reply, with a thank you. From the url linked by the QR code, I found their campaign was using MyFeelBack solutions. So there are some customer feedback professionals making this kind of survey, and there are people making money. Well, I can only hope they take into account the bias introduced in their procedure when they analyze the result. How can they do this? only take the written feedback into account. Maybe the device is not entirely useless, after all? What do you think? Remarque : J’ai écris ce tuto il y a très longtemps, et je ne l’ai jamais publié… mais il peut servir alors je le mets là. Pour commencer, nous allons installer le minimum vital, installer uniquement des outils basiques. Nous verrons plus tard qu’il est possible d’utiliser des outils plus performants, et plus pratiques, mais pour faire ses premiers pas en programmation, c’est un peu compliqué. Je suppose que vous êtes sous Windows, et mes exemples utiliseront Windows 7. Je vous conseille de prendre la dernière version (3.3.3 au moment où j’écris), avec un installeur MSI (pour Windows, donc) 64bits (si vous n’êtes pas sûr d’avoir une machine 64bits, prenez la version X86 tout court). Cliquez sur le lien, puis sur enregistrer. Exécutez l’installeur en double-cliquant sur le fichier python-3.3.3.amd64.msi. 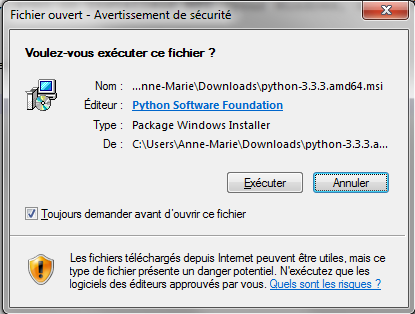 Windows demande confirmation avant d’éxécuter, par sécurité : on fait confiance à la Python Software Foundation, et le fichier a été téléchargé directement depuis www.python.org, donc on peut l’éxécuter en toute confiance : cliquez sur Exécuter. installer pour tous les utilisateurs ou non ? Choisissez seulement votre utilisateur si vous n’êtes pas sur votre propre ordinateur. emplacement par défaut : c’est le répertoire où l’installeur va copier tous les fichiers nécessaires au fonctionnement de Python. Pas besoin de changer. 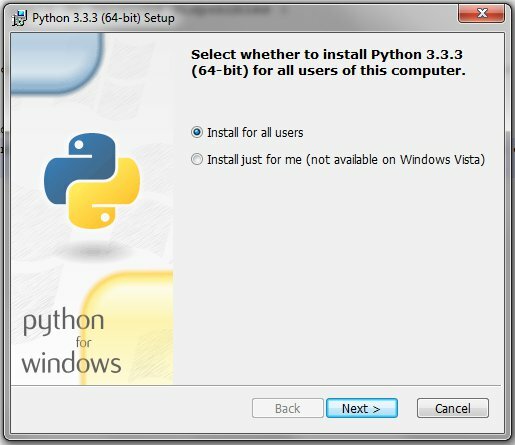 Personnalisation de l’installation : cocher en plus la seule option qui n’est pas mise par défaut, pour ajouter python.exe à votre path. Puis plus rien à faire, juste attendre un peu et cliquer sur Finish. 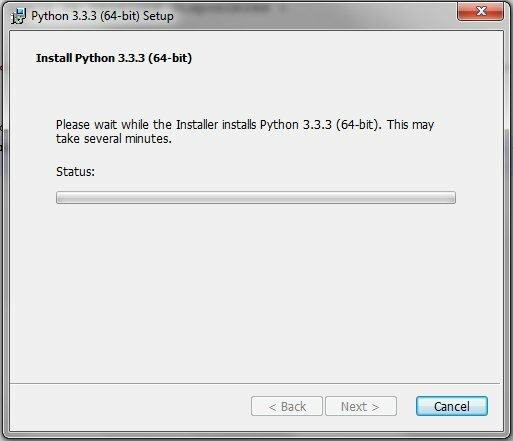 Une fois Python installé, la première chose est de tester que ça fonctionne ! 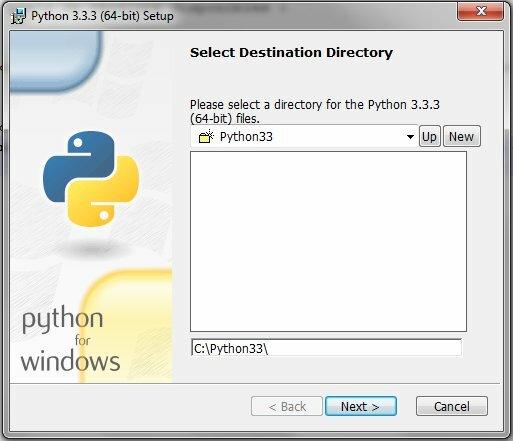 Aller dans le menu démarrer, chercher et cliquer sur Python (command line). 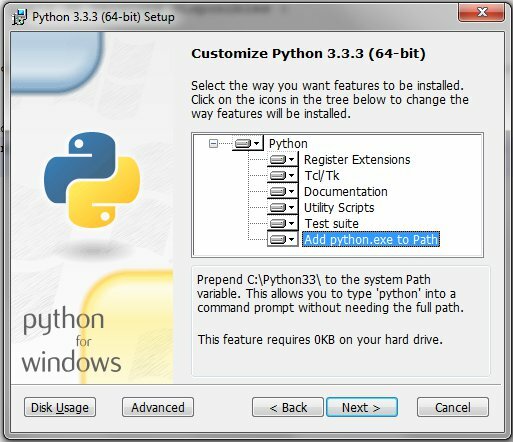 La console Python démarre : la première ligne affiche la version de Python installée (donc ici Python 3.3.3, version 64 bits). Tester une première commande, selon la tradition des tutoriaux de programmation, nous allons saluer le monde (mais en français), et plus précisément le monde de Python : taper print("Bonjour, Python !"). 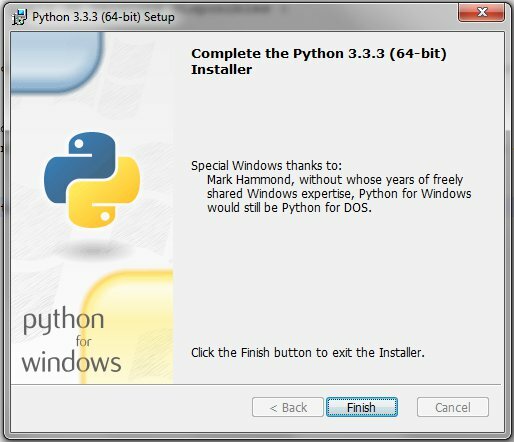 Bravo, vous avez installé Python avec succès ! Nous allons pouvoir passer aux choses sérieuses et apprendre à programmer ! Remplacez les guillemets doubles par des guillemets simples : c’est pareil ! Essayez d’enlever les guillemets : print(Bonjour, Python !) : cela fait une erreur au niveau du point d’exclamation : SyntaxError: invalid syntax. Et si on enlève le point d’exclamation ? Une autre erreur : NameError: 'Bonjour' is not defined. On pourrait expliquer dans les détaills mais pour commencer, il faut retenir que si on ne met pas les guillemets, Python cherche à interpréter autrement les caractères que l’on écrit. Essayez en commençant avec un guillemet double et en terminant avec un guillemet simple, que se passe-t-il ? Essayez en écrivant ‘Bonjour,\nmonde’, ‘Bonjour\tmonde’ : à quoi servent ‘\n’ et ‘\t’ ? Pour comprendre : quelques explications. print est une fonction standard de Python, qui prend une chaîne de caractères et l’affiche dans la console. Une chaîne de caractères en Python est signalée par des guillemets simples (touche 4 ') ou doubles (touche 3 "). On appelle caractère tout ce qu’on utilise quand on écrit : les lettres (abcdefghijklmnop…), les chiffres (0123456789), les signes de ponctuation (,?:! ;), les symboles mathématiques (+-*/), par exemple, mais il en existe beaucoup plus (%ùàç€&$…). Si vous êtes curieux, vous pouvez lire l’article de Wikipédia sur les caractères informatiques. La plupart du temps, on n’utilise pas un caractère tout seul, mais plutôt un mot ou une phrase. Pour dire à Python qu’on veut un mot ou une phrase, c’est-à-dire une “chaîne de caractères”, on les met ensemble entre guillemets, comme dans notre exemple : “Bonjour, Python !”. L’interpréteur Python sait alors que cette chose qu’on lui fait lire est une chaîne de caractères, et pas autre chose. 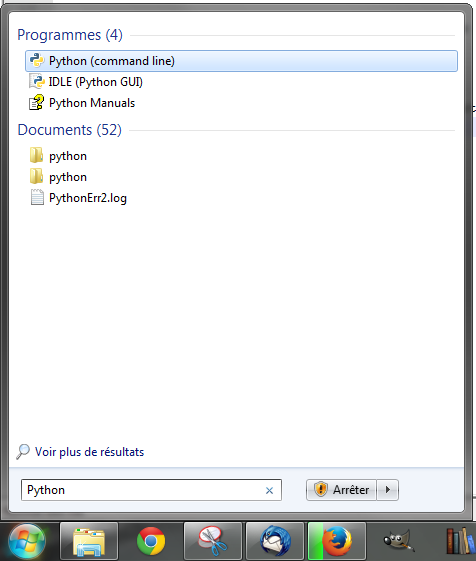 Pour écrire des scripts de façon très simple, il y a un éditeur qui est fourni avec l’installeur de Python : IDLE (Python GUI). GUI, ça veut dire quoi ? C’est de l’anglais pour “Graphical User Interface”, en français on dit une “interface graphique”. En fait, quand on a pas d’interface graphique, ça veut dire qu’on est dans une console. Sous Windows, vous utilisez l’écrasante majorité des logiciels avec une interface graphique. Créez un répertoire sur votre ordinateur dans lequel vous allez mettre tous les fichiers liés à ce tutoriel (par exemple dans Mes Documents, un répertoire “IntroPython”). 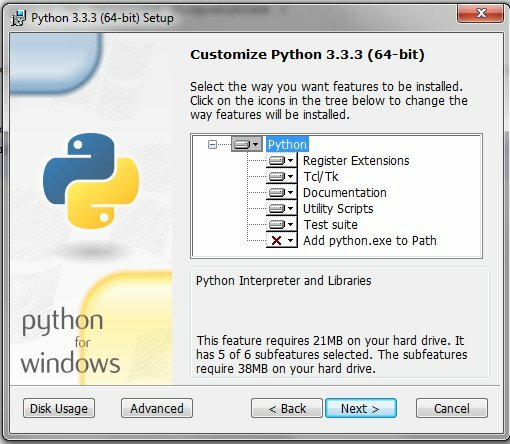 Dans la fenêtre ‘Python 3.3.3 Shell’, cliquer sur File->New File, cela ouvre une autre fenêtre dans laquelle vous allez pouvoir écrire votre premier script. Tapez : print(“Bonjour, monde !”), puis sauvegardez le fichier en sélectionnant bien votre répertoire de travail (“IntroPython”). print est une fonction python, jusqu’à présent on lui passait en argument juste un chaîne de caractères, mais ici, à la troisième ligne, on voit qu’on peut lui en passer plusieurs. Chaque chaîne passée est affichée, en les séparants par la chaîne indiquée par sep='', ici, une chaîne vide, donc les chaînes sont collées. input est aussi une fonction, et comme elle ne prend pas de paramètres, on l’appelle avec des parenthèses vides : input(). chaine1 est une variable, elle permet d’enregistrer une valeur et de la réutiliser plus loin. Ici, on l’initialise avec ce que nous renvoie la fonction input, c’est-à-dire une chaîne entrée par l’utilisateur dans la console. Ensuite, on l’utilise pour afficher cette chaîne. A partir du premier script, il est très facile de faire un quizz. Posez une question, vérifiez si la réponse est bonne, et comptez les points. le programme ajoute 1 point par bonne réponse. # Compare la réponse de l'utilisateur avec la bonne réponse, "Paris"
On apprend plusieurs choses avec ce tout petit bout de programme. pour faire un commentaire sur une seule ligne, il suffit de commencer la ligne par le symbole dièse : # (touches Alt Gr + 3). une variable pour stocker la réponse donnée par l’utilisateur. Ici, on l’appelle capitale. On aurait pu l’appeler reponse1. Ce qui est important, c’est de donner un nom qui permet de comprendre à quoi sert cette variable. Comme on y met une chaine de caractères (la réponse de l’utilisateur entrée dans la console), cette variable est de type “chaîne”. une variable pour stocker le nombre de points accumulés par le joueur, autrement dit, son score. Au départ, c’est zéro, et on l’augmente de 1 point à chaque fois qu’il répond bien. Les scores possibles sont donc 0, 1, 2, … mais jamais 0,5 ou 1,75. Notre score est forcément un nombre entier. La variable points est donc de type entier, en anglais on dit integer, et en programmation on écrit souvent int. On fait un test avec le mot-clé if, en écrivant une “condition”, et en terminant le test par un double point :. Ici la condition est une comparaison avec == : Python va comparer le contenu de capitale avec la chaîne "Paris", et renvoyer True si capitale contient exactement la chaîne "Paris" (il ne faut pas se tromper sur la majuscule !). Si la condition est fausse (elle vaut False), c’est ce qui est après else: qui est exécuté (toujours avec la nécessité de bien aligner les lignes d’instructions). en écrivant points = points + 1, on prend la valeur de point (0, dans notre programme), on y ajoute 1, et on met cette nouvelle valeur dans point. Pratique : la fonction upper, appliquée à une chaîne de caractères, la convertit tout en majuscules ! Et pareil, il existe lower qui convertit tout en minuscules. 1. Quelle est la capitale de la France ? Il est facile d’ajouter de nouvelles questions, à vous d’être inventif ! Faites attention à bien compter les points, vérifiez en affichant le score après chaque réponse. Pour ajouter des nouvelles questions, on peut copier-coller le code et changer les questions. Très vite, le code va être très très long, alors que, finalement, on fait toujours la même chose : afficher une question, récupérer la réponse, comparer avec la vraie réponse, compter les points. Un des grands principes en programmation, c’est de ne pas se répéter. En anglais, don’t repeat yourself, c’est-à-dire : DRY. "Quelle est la capitale de la France ? ", "Paris"
Et voilà, vous avez fait votre première boucle for ! Comme on sait que notre liste contient des tuples (des paires), on peut récupérer directement chaque élément sous forme de paire question, vraie_reponse (on crée directement deux variables). Une “boucle”, comme son nom l’indique, consiste à répéter les mêmes instructions un certain nombre de fois (en boucle). Ici, avec la boucle for (pour, en français), on répète les instructions pour chaque élément de la liste question_reponses. Le double point :, et l’indentation, c’est exactement comme avec le test if. On peut maintenant réécrire le programme pour qu’il pose plus de questions. C’est encore plus facile de poser des questions ! au lieu d’écrire points = points + 1, ce qui est bien trop long, on peut écrire points += 1 :-). When looking for some specific technical positions, finding the right candidate can become a nightmare. You want someone who can code right, of course. You also want someone with decent knowledge. Conversely, if you’re looking for a job, you have probably noticed it’s quite difficult to convey all the depth and breadth of your knowledge in a classic resume. Enter the Internet era: there’s plenty way to show off your skills & knowledge there. Here’s the idea: start a blog, answer questions on stackoverflow, become influent on twitter ; if you write open source code, you can show your Github account. Then give all that information to recruiters. If you’re the recruiter, ask the candidates to show you their Github account. we’re creating a filter that means only people with copious leisure time and no other hobbies or commitments will end up in these jobs. People have plenty of valid reasons not to spend their spare time on their job, and certainly most of the great programmers I’ve worked with aren’t big-time GitHubbers. Fine, but how are we supposed to hire people? The hard way. Sorry everyone, but it’s the best we’ve got. People’s problem-solving ability and reasoning can’t be surmised from reading the end result of those processes, you have to talk to them. … If you want to choose wisely, and fairly, stop demanding free work from people. Ironically, a few days after reading this, I saw a link to resume.github.io on Twitter. A lot of people were enthusiastically tweeting and linking to it. Obviously there exists a debate about about how to do hiring properly for computer programming positions. In the same vein: looking at stackoverflow points. Personnally, I use SO a lot, and often find my answers there. I wish I’d have the time to answer more of them, but often answering a question needs quite a bit of digging, so I just can’t give more than a few hints. Anyway, when recruiting, I’m sticking to the “hard way”… test people. For code, that’s point 11 in the Joel Test, by the way. The idea of a “commonplace” is not new. I’ve taken the title “Miscellany” from Faraday. 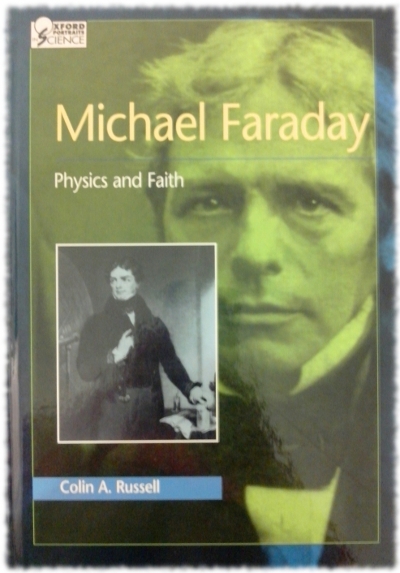 Here’s an excerpt from a biography of Michael Faraday by Colin A. Russell. By a great good fortune, in 1809 he (Michael Faraday) lighted on a book that had just been reprinted […] Its title could not have been more appropriate: The Improvement of the Mind. It was a famous work by a man well known not as a philosopher or scientist but as a writer of hymn. […] Among this book’s recommendations were assiduous reading, attendance at lectures, correspondence with others of similar mind, formation of discussion groups, and the keeping of a “commonplace” book in which to record facts and opinions that might otherwise be forgotten. Within a few weeks the industrious Faraday had begun a commonplace book of his own, formidably entitled The Philosophical Miscellany. Let’s try this experiment, and see what we can learn on the way. Articles by Lucy's Tech Miscellany are licensed under a Creative Commons Attribution 4.0 International License. Obviously, opinions are my own, and I don't claim exhaustive knowledge on the subjects write about. Theme based on Fresh, a responsive theme designed by jsliang. Special thanks to Smashing Magazine and Twitter Bootstrap.